In a world stuffed to the brim with shared universes, intertwining timelines, and blockbuster crossovers, it's easy to assume that the phenomenon is a relatively new invention. Well, what if I were to tell you that 46 years ago there was a cartoon which brought together some of the biggest names in super heroics and saw them team up to fight evil every Saturday morning? And that you can enjoy those very same adventures right now on DC Universe? Welcome to the world of the Super Friends. Super Friends debuted on ABC in 1973 following the channel's acquisition of the rights to a Justice League cartoon, but during production the name changed and a new team was unintentionally born. Created by Hanna-Barbera, the first season of the show focused on Batman & Robin, Superman, Aquaman, and Wonder Woman. It ran for just under a year (including reruns) before being cancelled, with just 16 hour-long episodes. Super Friends introduced three new non-comic book heroes: the teen sidekicks Wendy and Marvin, and their Wonder Dog. Plastic Man, Green Arrow, and the Flash guest starred alongside the core team. 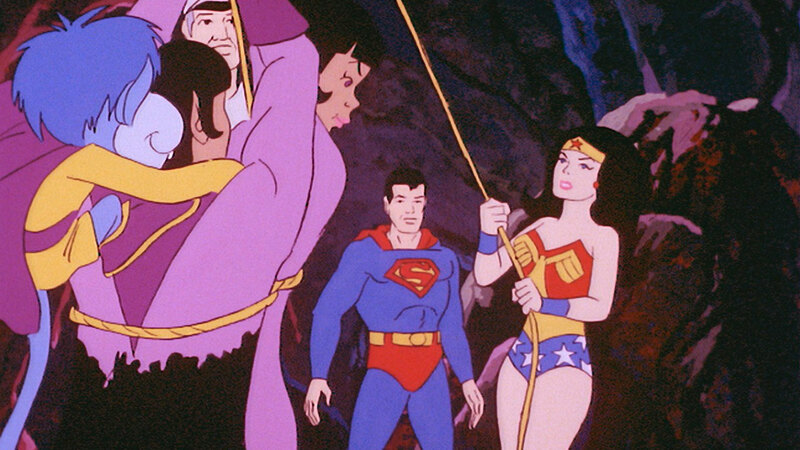 Though Superman, Batman, and Aquaman all had their own Filmation series in the '60s (you can watch The New Adventures of Superman here), it was a radical thing to bring all of DC's most famous heroes together. Though the first season launched the series, it wasn't exactly what the network or fans were looking for, and it would be three more years before the show's second season arrived. In its revamped iteration, Super Friends said goodbye to the not-so-superpowered Marvin, Wendy, and Wonder Dog, and introduced Jayna and Zan A.K.A. the Wonder Twins and their pet monkey Gleek. The resulting wacky adventures of the heroes and their sidekicks are much more in line with the offbeat stories fans think of when they think of the Super Friends. 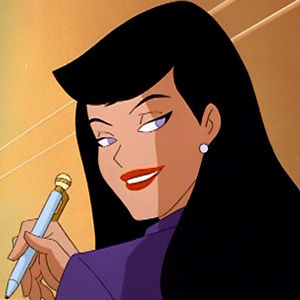 The Wonder Twins weren't the only new addition as The All-New Super Friends Hour was the first seasons to introduce villains from the comic books. Whereas the first season often focused on man-made natural disasters and political crises, the 1977 iteration introduced two classic DC Comics rogues in Black Manta and the Gentleman Ghost. Both of the characters were given fresh names, and the newly monikered "Manta" was given an updated yellow costume. But with the addition of recognizable faces, the show really begin to craft a shared universe in the way we recognize such in today's pop culture --huge names battled each other and teamed up, with heroes crossing paths and creating adventures as they went. Though the show was filled with DC favorites, some of the most memorable moments from Super Friends actually came from four characters who were invented for the new series. 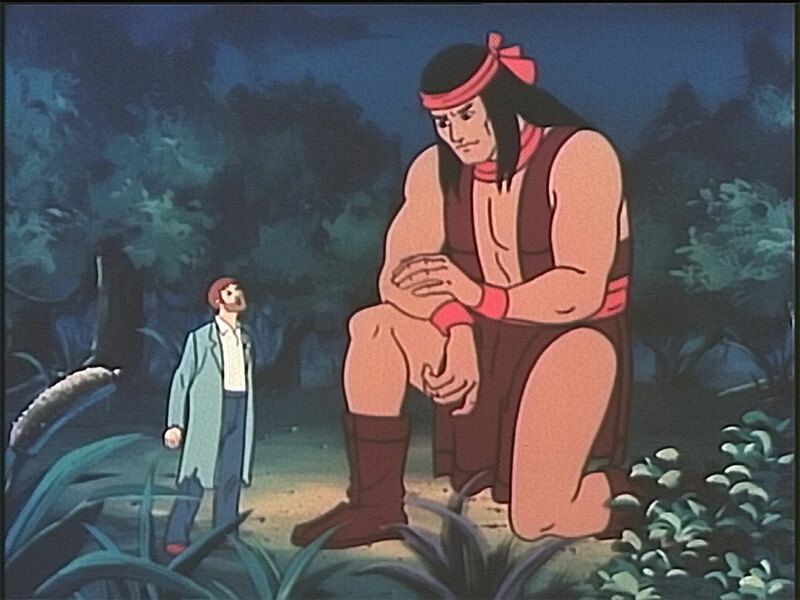 Apache Chief (pictured above), Samurai, Black Vulcan, and El Dorado were added over the next few years in an attempt to create more cultural diversity on the show. Though, as their names hint, that aspect of their characterization was far from perfect, the crew added to the wild roster of the show. Black Vulcan is particularly interesting as he was essentially a reworked version of a DC character who had recently been introduced in the pages of the comics -- Black Lightning. 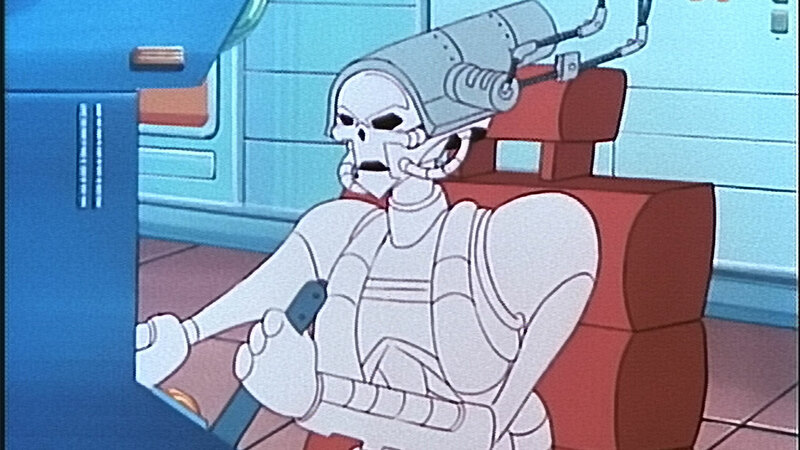 Along with new characters, the later seasons introduced more serious foes. The third season was known as Challenge of the Super Friends, which is widely seen as the peak of the show's quality. This more serious run of episodes introduced the Legion of Doom and was the first sason to feature some of DC's most famous villains with their own names and recognizable costumes. The Legion brought together thirteen notorious characters: Lex Luthor, Black Manta, Bizarro, Solomon Grundy, Sinestro, Scarecrow, Cheetah, Giganta, Toyman, Riddler, Brainiac, Captain Cold, and Gorilla Grodd. 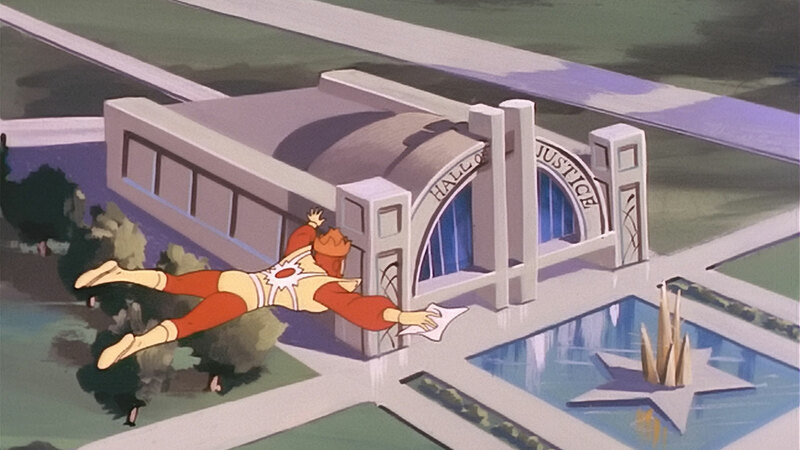 The show also introduced the iconic Hall of Doom, which was where the ne'er do wells would plot their weekly attacks on the Super Friends, whose own Hall of Justice had been previously introduced. The remaining seasons attempted to add as many characters as possible and saw some more enduring incarnations of the show. In 1980, Hanna-Barbera returned to the simple Super Friends moniker -- this branding lasted for three years and 22 new episodes. 1984's Super Friends: The Legendary Super Powers Show even delved into the brilliant madness of Jack Kirby's Fourth World, introducing Darkseid and his nefarious cohort from Apokolips. It also had a tie-in "Super Powers" toy line from Kenner, and added new hero Firestorm along with antagonists Mirror Master and Mr. Mxyzptlk. Super Friends' final incarnation was called The Super Powers Team: Galactic Guardians, and it's most notable for being the first time outside of the comics that Batman's brutal orphan origin was depicted (in the episode "The Fear"), and even carried on that serious tone with its final episode "The Death of Superman". It would be over 20 years later that the concept of a live-action shared universe was really accepted into general pop culture, but we should never forget the animated antics of the Super Friends that introduced generations of children to the wonders of a multi-hero team up! Are you a Super Friends fan? What are your favorite episodes? Let us know in our Community!